Just as the film “…for peace comes dropping slow…” was finishing post production, Culture Night Ireland 2010 was ready to launch. 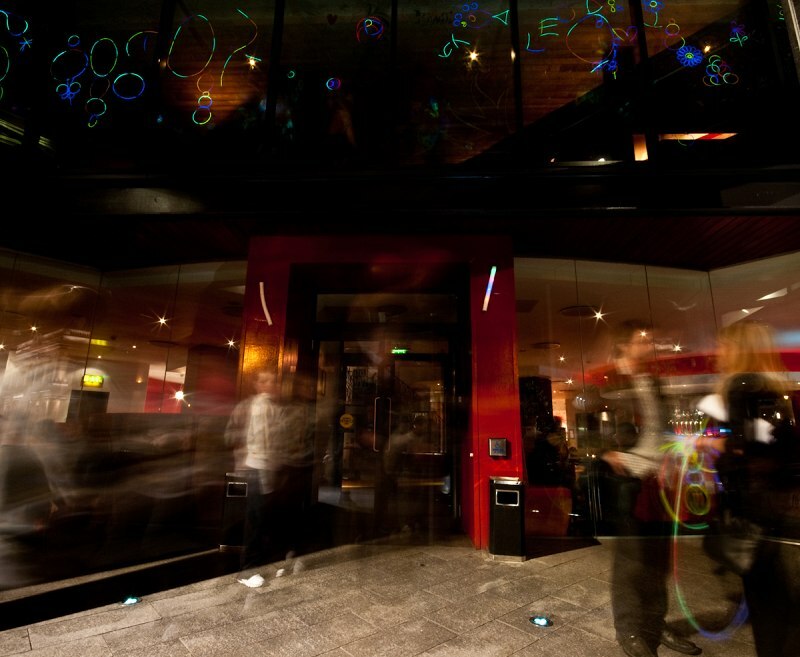 Regardless of our post film exhaustion, it was hard to say no to the idea of a new SLIGLOW light installation, as we were a national favourite in 2009 and we had a great experience with last year’s massive public light interactive. But if we were going to do it again, there had to be new challenges. 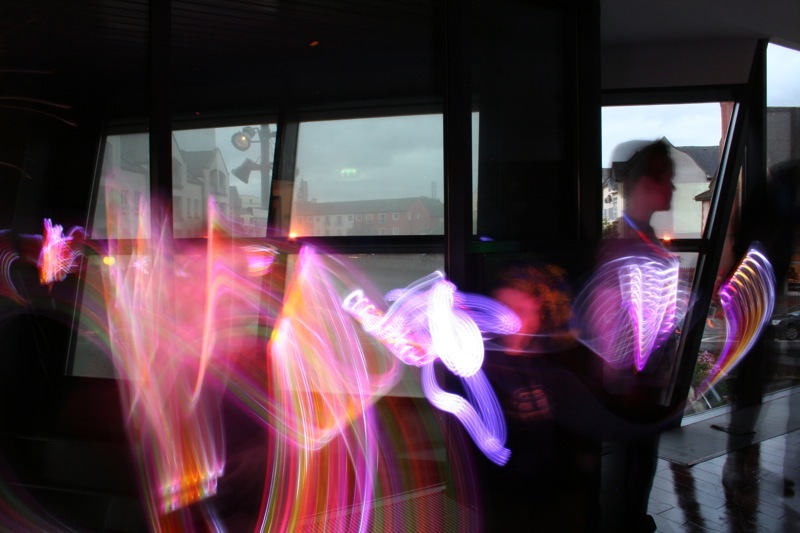 Light writing was a central feature of my film “…for peace comes dropping slow…” so I asked the team of light writers from the film to come to Sligo’s Glasshouse for SLIGLOW² to share the light writing experience with about 1000 people of all ages on September 24th. 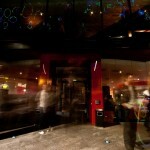 Live photographic and video projections of these collaborations, as well as a 40 foot light mural, live twiiter feed from all the Culture Night Ireland 2010 events were accompanied by DJ GNET!C (Gabriel Knecht’s) electronica and dub-step remixes. Our photographers and filmmakers collaborated on and captured the installation: myself, Darren Carr, Justin Knecht, Tara Lewis, Cormac McConville and Robert Siberry. An exhibition of the stills and videos is a must. 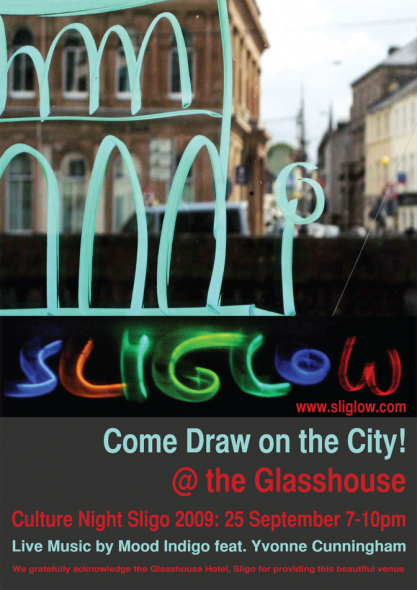 SLIGLOW update: A special thank you to Sligo County Council Arts Office for their contribution to our funding! 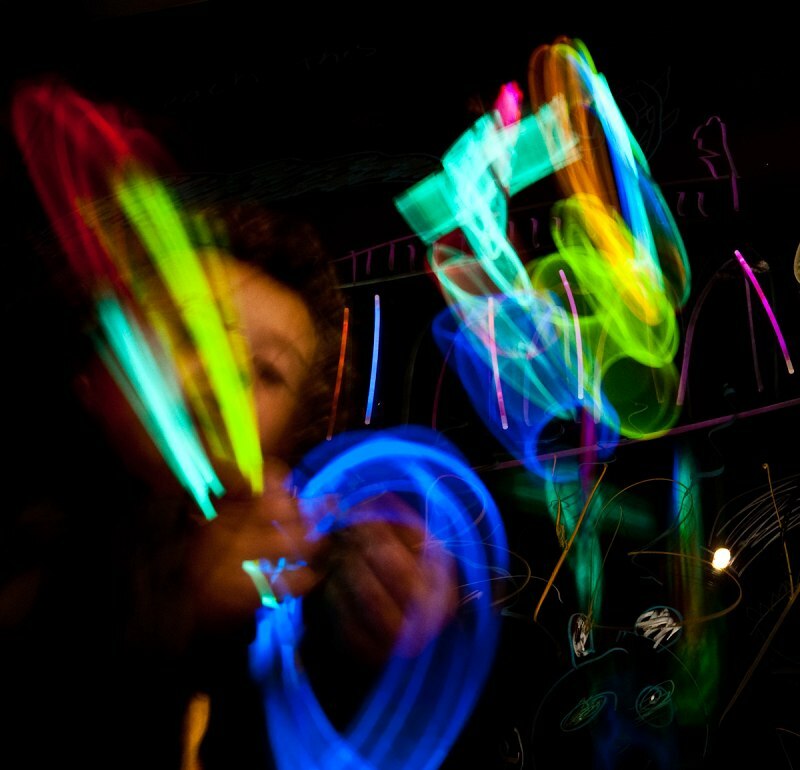 Thank you to The Irish Independent for voting Sliglow 2009, their pick as the best Culture Night Ireland event, nationwide! 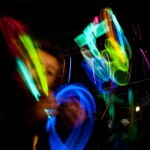 SLIGLOW update: Thanks to Darren Carr for these great shots of the SLIGLOW installation in the making. This collaboration between myself, Tinka Bechert, Vanya Lambrecht Ward and about 800 to 1,000 people of all ages over a period of four hours at Culture Night Sligo, Ireland, exceeded our wildest expectations. Thanks everyone – looking forward to the exhibition! Ireland is celebrating culture this week with the Culture Night Ireland festivals in cities all over the country. Artists Tinka Bechert, Vanya Lambrecht Ward and myself, are presenting SLIGLOW, inviting people of all ages to work alongside a team of professional artists to create a site-specific installation of light, line and projection on the magnificent glass facade of The Glasshouse on September 25th. If you are in Ireland on the night, join us! 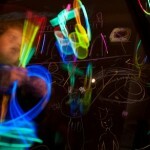 This entry was posted on Friday, December 4th, 2009 at 17:31	and is filed under Digital, Light and tagged with Cormac McConville, Culture Night Sligo 2010, Darren Carr, glass art, Justin Knecht, light sculptures, light writing, photography, Robert Siberry, site-specific installation, SLGLOW², SLIGLOW, Tara Lewis, Tinka Bechert, Vanya Lambrecht Ward, video. You can follow any responses to this entry through the RSS 2.0 feed.